Fountain of the Moor (Fontana del Moro), located in famous Navona Square (Piazza Navona) and built in 1574 by Giacomo Della Porta during the reign of the Pope Gregorio XIII Boncompagni. However, it was renovated in 1653 by Bernini. The central figure of the fountain, the Moor (il Moro), is actually a Tritone or Neptune taming a dolphin. It is one of the most ancient masterpieces of Renaissance period. Fountain of the Moor was created in 1574 by Giacomo della Porta. In 1652, the Pope Innocent X, related to the Pamphilj family, commissioned renovation of the fountain to Bernini. The figure standing in a shell was added by the architect during renovation. Before the statue of the Moor was added, Bernini made a snail. However, the Romans and Pamphilj family didn’t like it and eventually it was removed. Triton is a mythical Greek God, who is considered as a messenger of the sea. Fountain of the Moor was renovated again in 1874, when the original statues were moved to the Borghese Gallery and replaced with the copies that we can see nowadays in the Piazza Navona. Fountain of the Moor is one of the three fountains on the square, located at the southern side and related to the vast restoration program of the Virgin Aqueduct built by Agrippa in 19 B.C. It was reactivated by the will of Pope Gregorio XIII towards the end of the sixteenth century. 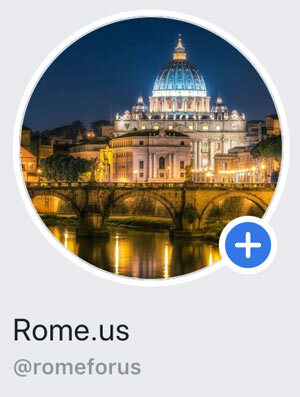 Moreover, the project involved the construction of fountains on all main squares of Rome. At the same time, new pipelines were created within a network that included public and private utilities. However, due to the low level of the aqueduct, fountains fed by the Aqueduct Virgo were far from the baroque style. 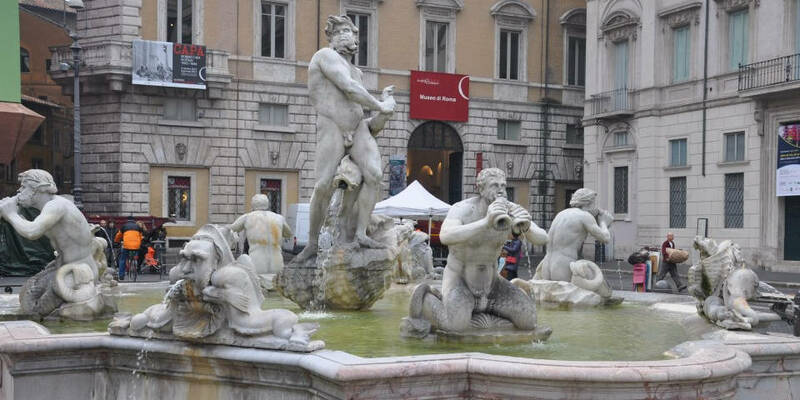 The results achieved by Bernini in Fountain of the Four Rivers (Fontana dei Quattro Fiumi) were acquired because of the increase in the water flow by taking it from the Aqua Paola. Giacomo Della Porta was assisted by Bartolomeo Gritti and a team of sculptors and stonecutters. The fountain has the decorative elements as dolphins, masks with human or animal faces borrowed from the classical repertoire of that time. Moreover, Della Porta designed fountains from the both sides of Piazza Navona and in 1574 he entrusted it to Ludovico Rossi. However, he did not finish the work on time and in 1576, a new contract was signed for the construction of two parapets in travertine. 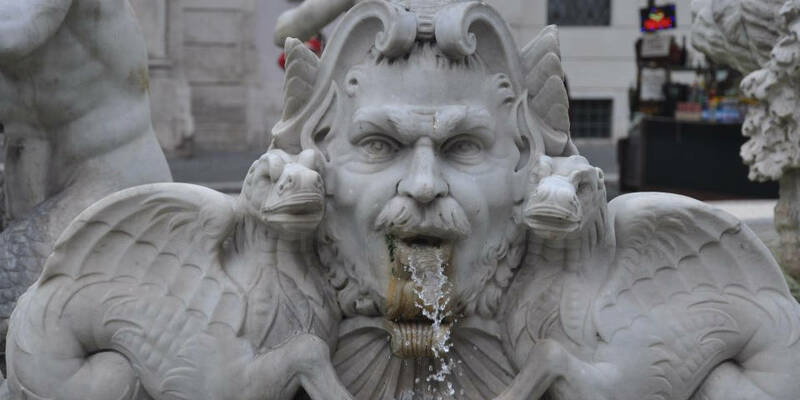 The construction of the fountains in Piazza Navona is intertwined with the history of the Fountain of the Pantheon, where you can see the Pietrasanta marble with mixed basins and four masks alternating with four tritons. In September 2011, the fountain was attacked by vandals on a hammer. Fortunately, the Italian authorities managed to fix the artwork eventually. 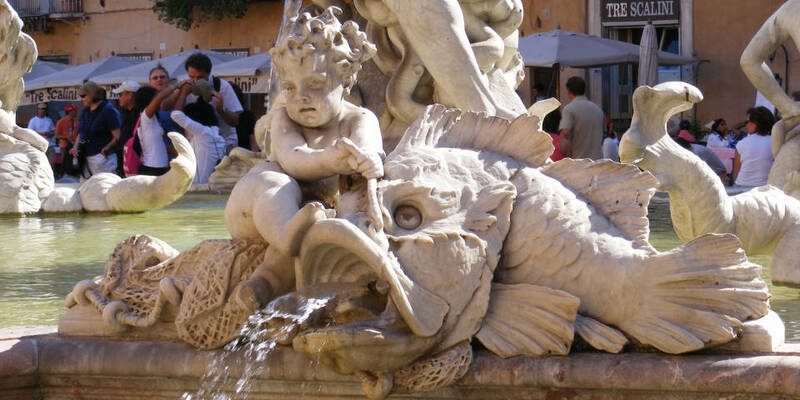 The Fountain of the Moor is one of the most beautiful fountains in Rome located in historical Piazza Navona. It has many details and daily thousands of tourists admire its details.